Does objectivism have morality? Was Ayn Rand a dictator or an abolitionist? Atlas Shrugged. Authors, Ayn Rand, William R Thomas. My morality, the morality of reason, is contained in a single axiom: existence exists—and in a single choice: to live. The rest proceeds from these. To live, man must hold three things as the ruling values of his life: Reason—Purpose—Self-esteem. Reason, as his only tool of knowledge—Purpose, as his choice of the happiness which that tool must proceed to achieve—Self-esteem, as his inviolate certainty that his mind is competent to think and his person is worthy of happiness, which means: worthy of living. 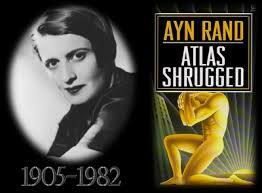 These three values imply and require all of man’s virtues…— Ayn Rand , Atlas Shrugged . 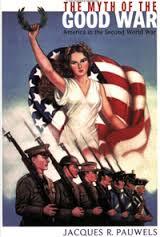 From Fascism At War, Mussolini and Fascism: The View from America. John Patrick Diggins, (Author.) 2015. As a solution to supposed anxieties of freedom which led to Fascism, Fromm spoke of the need for “relatedness,” “spontaneity,” and “self-realization” in a productive society of abundance. Implicit here is the suggestion that Fascism sprang neither from the rigors of class war nor the dread of spiritual alienation but merely from the familiar malady of poor social institutions and personal relationships. Like so many other scholars of the time, Fromm was obviously more interested in expounding a cure for Fascism than in examining with precision all its complex causes. But his message of humane social engineering was one which American liberals could readily understand. Whatever maybe the ultimate validity of his highly impressionistic Escape from Freedom, Fromm managed the remarkable, if unconvincing , feat of translating Dostoevski’s anxieties into Dewey’s aspirations. My Life Is My Message. MK Gandhi. 1948. Civil Resistance To Moral Infamy.